I turned 65 this past December. Even before I turned 65, I was considering retiring as early as possible. The problem with “early” retirement in my case is that if I had retired at 65, I would have only gotten a little over 93% of my total Social Security benefits, and I would have been penalized for quite a while. If I were to retire right now, in March, that goes up to 95%. If I want my full 100% then I have to wait until December of this year when I turn 66. And considering I’ve been working and paying into the system since I was 16, I want it all, every last penny. The original Social Security Act of 1935 mandated a full retirement age of 65. This age was chosen because that’s what was in common use at the time with state pensions and the railroad pension. Then, in 1983, the Social Security Amendments Act was passed that began a phased approach to full retirement. Because I was born between 1943 and 1954 my full retirement age was bumped up to 66. Beginning in 2021 full retirement goes up to 67 for people born in 1955 or later. Although it’s being “phased in”, the blunt numbers are that I have to wait until I turn 66 before I get 100%, and starting in 2022, everyone born in 1955 and later will have to wait until they’re 67 for a full 100%. Lucky me. I get full 100% benefits if I can wait until December of 2019. And for me that’s the problem. I’ve been saving and paying down, and I’ve also been paying very close attention to costs, especially insurance. I’ve had both knees replaced already, and this past week I had dental work that cost me $750 out of pocket. Needed dental work to be sure, and based on medical papers that now show a solid link with gingivitis and Alzheimers, it behoves me to maintain good dental health and not just by brushing alone. But there are still costs associated with living, and while a lot of costs would disappear if I no longer worked and commuted every day, it’s still a disquieting point in my life to contemplate. My work environment. That one is very complicated. By some miracle I’m still able to work in software engineering for a major DoD project even at my advanced age. Right now I’m attempting to help shepherd the development group onto a new automated build system using Jenkins V2 running on Windows Server 2016 VMs being hosted on VMware. I love working with the people, without exception. I hate the environment I have to work in because it’s considered a secure facility, and the entire facility, VMs included, are heavily STIGed (Security Technical Implementation Guides). And that makes doing anything arduous at best and at time down right impossible without wavers. Needless to say that while I am winning in my goal to finish this task, it’s wearing and I’m tired of having to fight this battle; this isn’t my first rodeo trying to work in a STIGed software environment, not by a long shot. Couple this with the annual security certifications and the annual active shooter classes I have to take and all annual security classes I have to take with their emphasis on the “insider threat”, I’m now at a point where I’ve had enough. It’s gotten to were I’m made to feel untrusted and unwanted, not by my workmates, but by the local arm of the federal bureaucracy that enforces all this policy. If I’m that much of a perceived threat then why have me on payroll? Like so may others, my professional work life is governed by the SF-86, or Standard Form 86. Without that, I can’t work in that part of industry that requires it. Unfortunately, due to the Office of Professional Management data breach in 2015, I had all of that sensitive and personal information spilled out on the web. I know this because I got my official letter in the mail telling me that. And I set up a warning system, and I’ve been getting emails telling me I had changes to my personal information as well as other alerts. Problem with that alert system is I knew about those alerts before they happened because it was something I and my wife did, and the only ones I get now are that my email address has wound up on some dark website or other, or now, that some person marked as a sexual predator has moved near me. I’m surprised at the number of sexual predator alerts I get; you’d think where I live is being overwhelmed. A lot of what many consider cyber vulnerabilities I’ve taken steps to mitigate over the years. I no longer have everything conveniently tied together on the Web. Even before Mat Honen’s epic hacking where he lost nearly everything, I’d know better to compartmentalize information as much as reasonably possible. For example, as I’ve gotten older and more paranoid I’ve tried to move away from older email accounts, that you can now find on Have I Been Pwned, keeping them as my “trash” accounts while opening new email accounts with distinctive logins and unique passwords that are used no more than once with critical accounts, especially accounts that require two-factor with an email account. Speaking of two-factor authentication, I no longer use text messages on my phone (or at least as much as possible) but use a dongle instead. All of this is pointless if there is a determined adversary going after you. I’m realistic enough to realize that it’s not a matter of if, but when, and to try to slow up the adversary and minimize damage as much as possible. And that includes not putting anything you consider critical on, or accessible by, the web. The web has become totally weaponized now, thanks in no small part to NSA hacking tools that’ve been leaked. My tax dollars at work. My family needs me, especially financially. I joke about the Bank of Mom and Dad, but the harsh truth is that both my adult children need assistance on occasion. That’s what the Great Recession and poor governance out of Washington has left us to deal with. 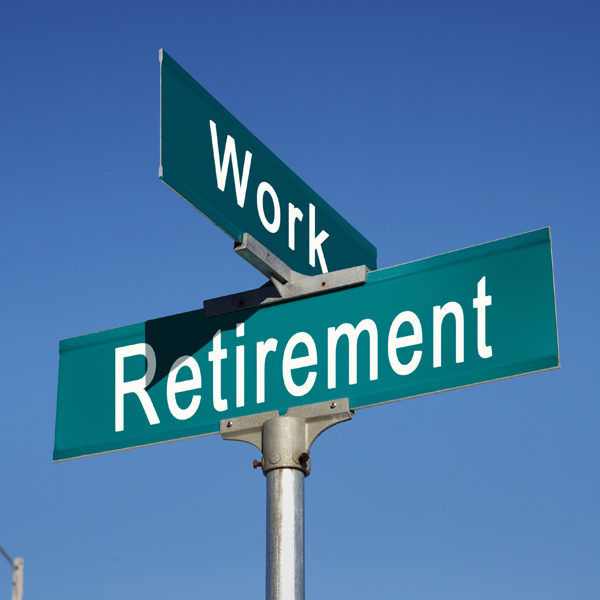 Providing assistance while employed is doable, but in retirement, a lot tougher. Finally, there’s the fear of the unknown. What ifs constantly bubble up in my mind and make me hesitant. And yet, I keep thinking constantly of the time I don’t spend with my wife, who is herself disabled. Considering what my life would be like without her is yet another nightmare scenario. It’s a tough dilemma for me, and one that will not be easily made. But it will need to be made, sooner rather than later to be sure. Coincidentally, I’m the exact same age. Had no thoughts about retiring. Then, all of a sudden, it was the right time. Happenings at the company I’d worked for for 40 years, things needing attention with my parents, realizing, like you say, the time missed spending with my wife and the temporariness of it all. My advice would be to make the best decisions you possibly can regarding money and time and understand that you’ll probably be OK whenever you do decide to retire because you have a realistic expectation that retirement isn’t going to be spending wildly, but savoring a similar lifestyle and better time with those you love. Good luck!